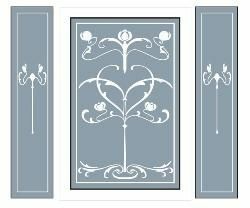 To create an etched window or door reproduction a rubbing or photograph of the original is used which is then transfered onto a mask on the glass. 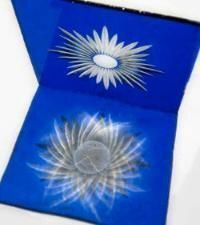 This can be tape, vinyl, bitumen or any substance able to protect the glass from the etching process - sandblast or acid. 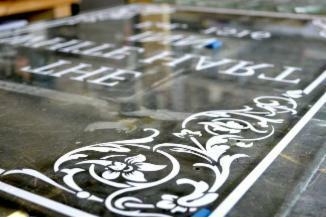 After the mask is applied the panels are then sandblasted to create the frosted/ etched pattern. 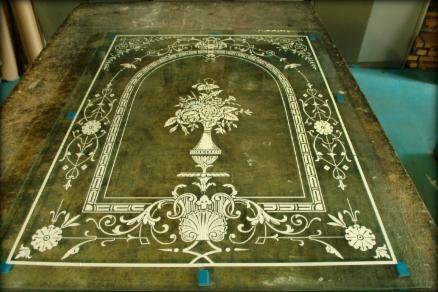 If permanent, most etching on glass today is done by sandblasting. Traditionally hydrofluoric acid was used. 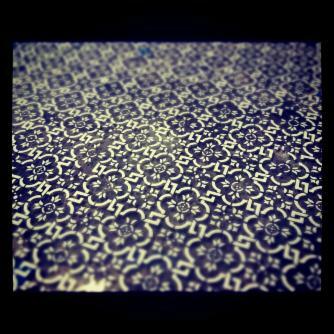 Acid is still used by some glass artists as it is still the best way to create certain effects. Toughened safety glass with sandblast mask for front door panel reproduction prior to be etched. 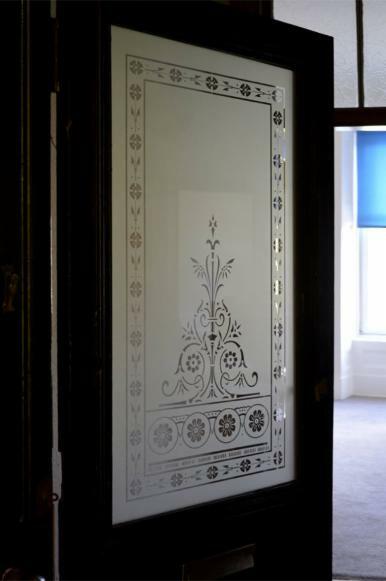 A replacement etched door window with a decorative Victorian pattern for this Byres Road, West End, Glasgow tenement flat. 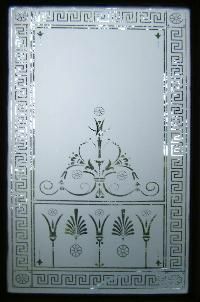 A Greek meander and starburst sandblasted etched design on toughened safety glass for this Victorian home, Glasgow. 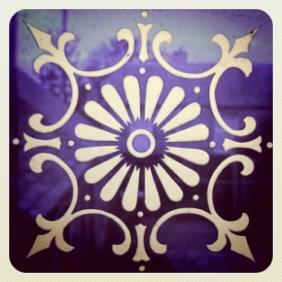 Edwardian styled etched glass. 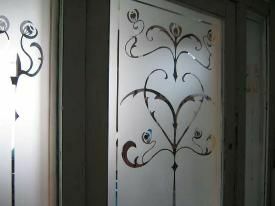 Etched toughened safety glass for the main entrance to a Downahill home, Glasgow. Vinyl mask for new etched glass panel for The White Hart Inn, Edinburgh ( some say the oldest pub in Edinburgh, some don't.... 1516 in case yer wundrin.). 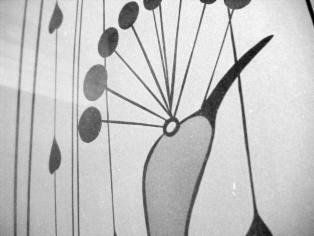 Etched glass detail of a Charles Rennie Mackintosh / Peacock inspired door panel, Glasgow. 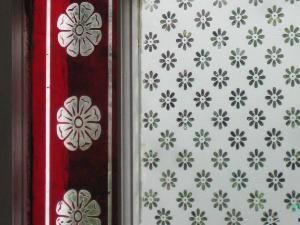 A protective mask of vinyl on safety laminate glass before being etched with a repeat pattern design for a skylight in a Cathcart home, Glasgow. 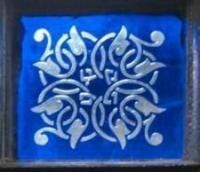 Dark ruby and dark blue flashed glass corner squares are used to highlight borders of stained glass. Many Glasgow tenements c1900 have their original stained glass and flashed glass borders still lighting the stairwell. Around this time Glasgow had many of the leading stained glass artists and studios and most of the buildings being built carried some sort of glass decoration. The colour of these flashed glass borders is still as intense today as it was a hundred years ago. Although some of the painted stained glass has not faired as well. A faded stained glass window is not because it is old, more likely the paint mixture or firing temperature was wrong. 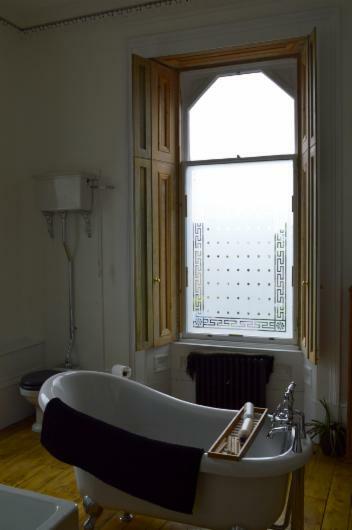 The windows and door panel above were adapted from an existing Glasgow etched door design and traditional Art Nouveau motifs. Bearsden, Glasgow.